Darts is mainly considered to be a pastime for most people. But did you know that there are darts competitions held regularly? That is precisely where these darts certificate templates may come in handy. 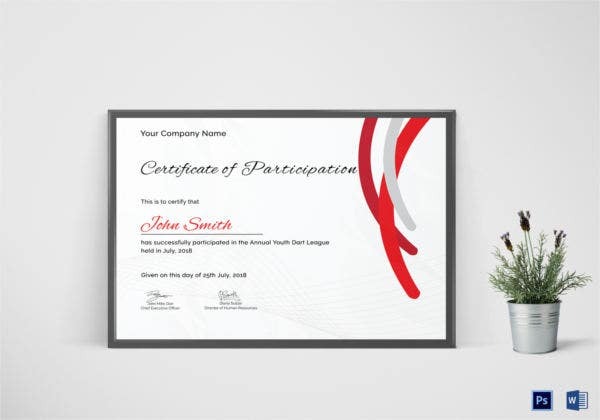 These certificates have been designed in such a way that they go perfectly with the theme. Also, the certificate templates here have been designed by professionals who know exactly what you want or need. So if you are interested in darts, you are definitely going to love these templates. 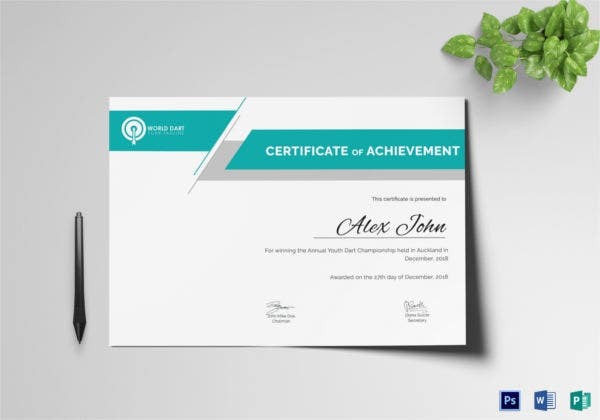 This fishing certificate comes in a Word or PSD format, a print ready layout, a standard size with bleed, a CMYK color mode, high resolution of 300 dpi, easy customization of text and color. This certificate doesn’t just allow you to mention the purpose or the person being certified but also allows you to add minute details at the bottom. These are subject to customization based on your requirements. 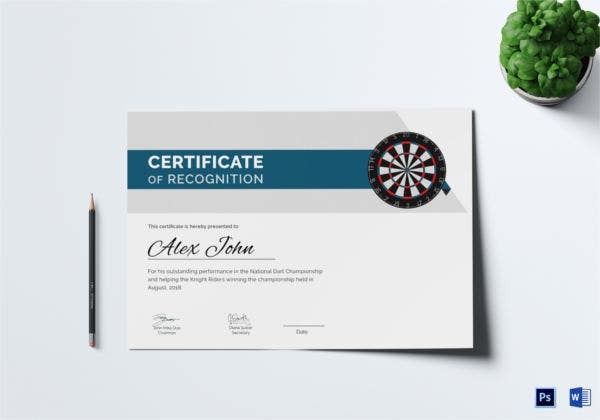 If you want to recognize the achievement of someone who has just won a championship in darts, then this certificate would be perfect. It is versatile and multipurpose as well. 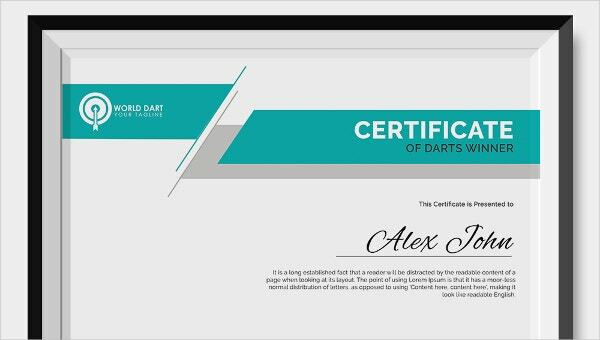 If you had a darts championship and have to reward the winner, then you could take the help of this darts certificate template. It is pretty attractive and well designed. Also, it is neat. 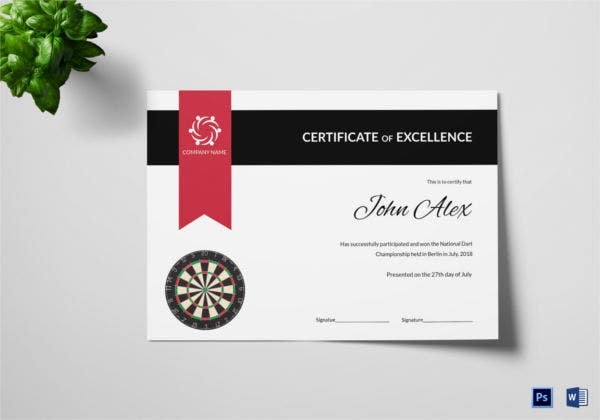 This darts certificate template comes with an attractive image of a darts board. This image would add a different charm and aura to your certificate template as well. > What are the benefits of the Darts Certificates? The darts certificates come in a number of formats. That makes them easy to use for the designer or the developer. The certificate templates are of different types. You can choose the one you want based on your requirements. They have been designed by the pros. Professional help creates a difference in the overall appearance of the certificates. The certificates here stick to the theme. One look at the appreciation certificates will tell you that they are related to darts. > What do darts Certificates Contain? There must be a well defined border which holds everything together. There has to be some mention of the purpose before one moves on to the rest of the content. The name of the person being certified must be written in clear bold terms. Some other details may also be included, however, that is not compulsory. All the elements of the certificate must be organised properly in a neat and tidy manner. Are you interested in darts? Or are you planning a small tournament for darts lovers? Then you are surely going to appreciate these darts certificate templates. They have been designed by professionals and that gives them a dignified and sophisticated touch. Also, the templates here are editable for your benefit.